Below are some very modest attempts at astro photography. The quality and resolution of the pictures are far below of that what proper amateur astronomers can achieve. Still, good fun was had. 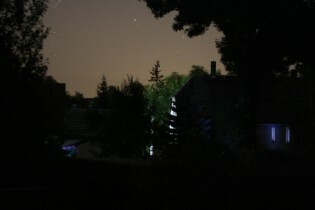 Pictures are not postprocessed. 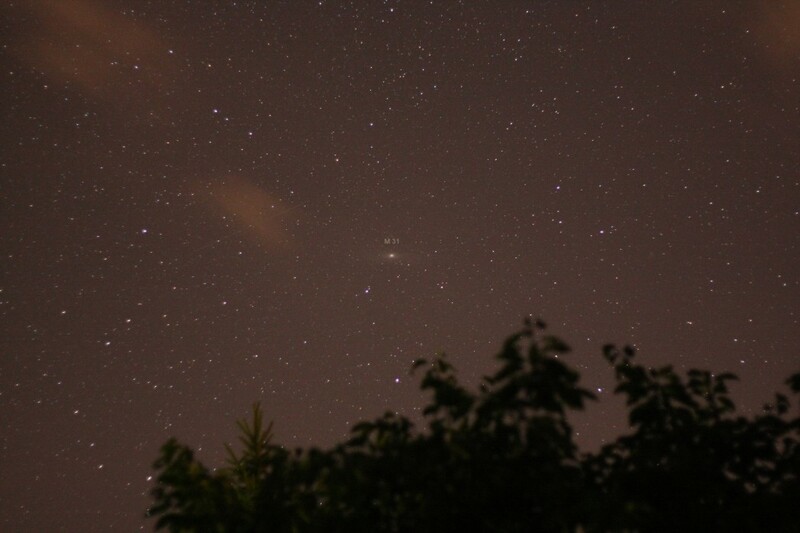 My equipment is a Bresser Messier 127, i.e. 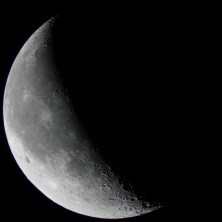 a 5 inch (127mm) refractor telescope with a focal length of 1200mm, attached to a Canon EOS 450 digital SLR with a resolution of 4272 x 2848 (12 mega pixel) on a 22.2mm x 14.8mm sensor. 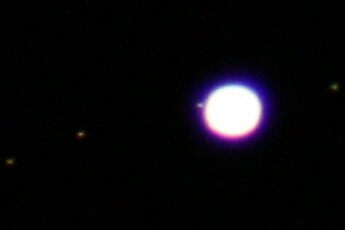 The following pictures were taken by a Canon EOS 450 attached to a 5 inch 1200mm refractor telescope in prime-focus mode, i.e. the camera body is attached directly to the telescope without an eyepiece and so the telescope becomes the camera's lense with a focal length of a respectable 1200mm. The results are not super sharp and so I have scaled the images to 50% (10% for thumbnails) without much loss of information. 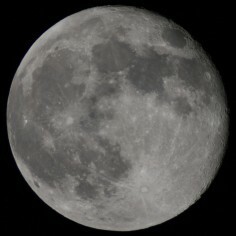 For a very sharp high resolution picture of the moon see Mick Hyde's blog. This is what can be done with standard lenses. Taken with a Nikon D40 (resolution 3008 x 2000, 6 mega pixel on a 23.7mm x 15.5mm sensor) and the kit lense at 55mm and a zoom lense at 200mm focal length, respectively. The images are fully sized cropped versions. 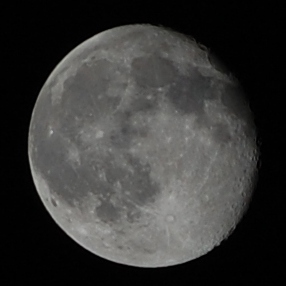 I'm quite happy with the sharpness of the entry level zoom lense (Nikkor AF-S 55-200mm). 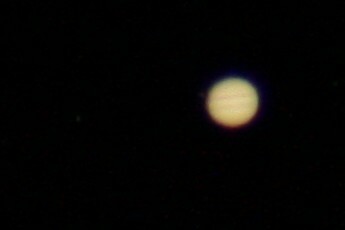 First attempt at Jupiter, EOS 450 attached to my 1200mm telescope in prime-focus. 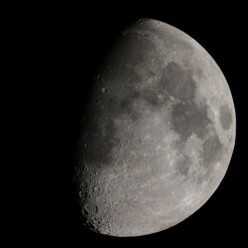 Two different exposure times, 1/100s and 1/10s, respectively, ISO 800 and telescope is an f/9.4 (1200mm/127mm). Pictures are full crop. 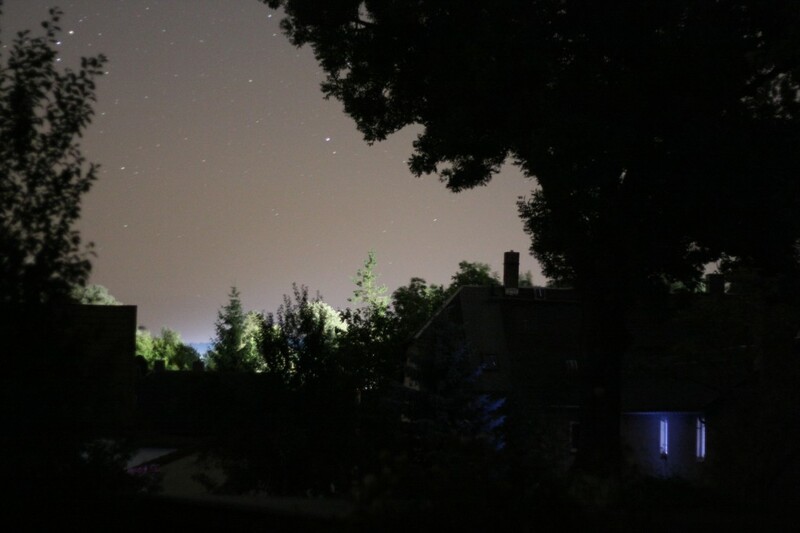 We can gain higher magnifications with eyepiece-projection photography. Here the camera body is attached to the telescope behind the eyepiece. This is what good people can achieve: Mick Hyde, Damian Peach. 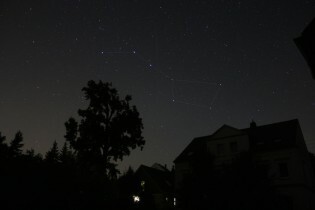 And here is what hubble can do. 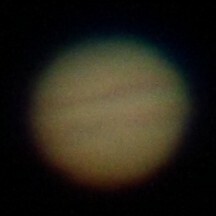 First attempt at Saturn. Prime-focus photography EOS 450 on 1200mm telescope. Full crop images. ISO 400, 1/15s and 1/5s, respectively. Prime-focus photography EOS 450 on 1200mm telescope. Full crop images. ISO 200, 1/200s and 1/30s, respectively. EOS 450, ISO 1600, 50mm, f/1.8, 10s, 15s, 20s, respectively.